Los Angeles (AFP) - Is Beyonce too edgy for the music industry? Or do the Grammy Awards suffer from an underlying racial bias? The superstar's failure to win top prizes is vexing her many admirers -- among them the night's big winner Adele. Beyonce had led the Grammy nominations with nine for "Lemonade," her most daring album to date, which she crafted as a celebration of the resilience of African American women. But Beyonce, whose tour was one of the industry's most lucrative in 2016, took only two awards Sunday, again losing in the leading categories of Album and Record of the Year. 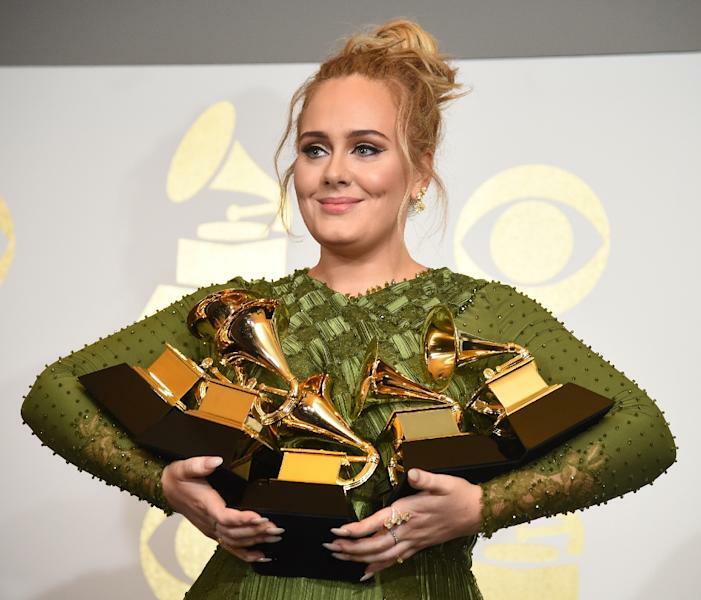 Adele, whose blockbuster album "25" stuck to her trusted style of wrenching ballads, for the second time swept three top Grammys -- and she earned praise from Beyonce's fans for saying that "Lemonade" deserved to win. 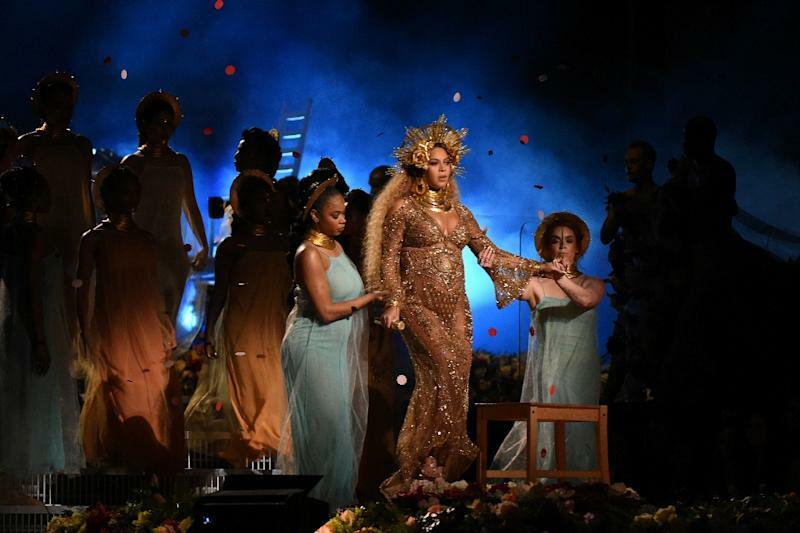 The English singer said that her black friends found "Lemonade" to be "empowering" and hailed Beyonce's creativity for intertwining the album with a film. "Obviously the visual is very new and the Grammys are very traditional, but I just thought that this year would be the year that they would kind of go with the tide," Adele said. Adele's triumph comes a year after Kendrick Lamar's "To Pimp A Butterfly," hailed as a hip-hop landmark and whose song "Alright" became an anthem of the Black Lives Matter movement, also lost to a best-seller, Taylor Swift's "1989." Frank Ocean, the introspective hip-hop trailblazer whose debut album was edged out by in 2013 by English folk revivalists Mumford & Sons, chose not to even submit his follow-up, "Blonde," for Grammy consideration. After Sunday's awards, Ocean wrote an open letter asking the Grammy organizers to discuss the "cultural bias and general nerve damage" caused by the show. Ocean, who defiantly released "Blonde" independently, said he initially wanted to take part in the Grammys for the tribute to late pop icon Prince. "But then I figured my best tribute to that man's legacy would be to continue to be myself out here and to be successful," he wrote. "Winning a TV award doesn't christen me successful. It took me some time to learn that." The Grammys -- determined through voting by some 13,000 music professionals in the Recording Academy -- have hardly ignored Beyonce. With 22 career Grammys, she is among the most recognized artists in history. Stevie Wonder is tied for the record of winning Album of the Year three times but the top prize has been especially elusive for black women. Only three -- Natalie Cole, Lauryn Hill and Whitney Houston -- have won it. On "Lemonade," the film blurs present and past with flashbacks to slavery in the Deep South, where African American women are shown as proudly self-sufficient. "Lemonade" draws a link to 21st century America, taking on police brutality as well as marital infidelity as the music spans influences and culminates in hip-hop. "'Lemonade' is really about how black women are treated in society historically, and in the contemporary moment, and it's about loving ourselves through all of that," said LaKisha Simmons, an assistant professor of history and women's studies at the University of Michigan. "So in some ways, it's kind of fitting that she was left standing there. "Beyonce will be fine," she said. "But I think for the rest of us, it stings because of that -- it's almost like, 'Get back in your place.'" In a tongue-in-cheek commentary on the Grammys, Beyonce emerged after the awards on a new song by rapper DJ Khaled. She speaks of being in music for 20 years and says: "All of this winning / I've been losing my mind." The Grammys marked Beyonce's first public appearance since revealing she was pregnant with twins. Her performance returned to the theme of matriarchy as she donned a crown and her female troupe glided beneath her on a sea of flowers. Yet Beyonce is hard to pigeon-hole as an experimental artist. When she last was passed over for Album of the Year, it went to alternative rock icon Beck, who is far less commercial. But one constant is Beyonce's innovations on selling albums. Her self-titled 2013 album was also a surprise accompanied by videos. 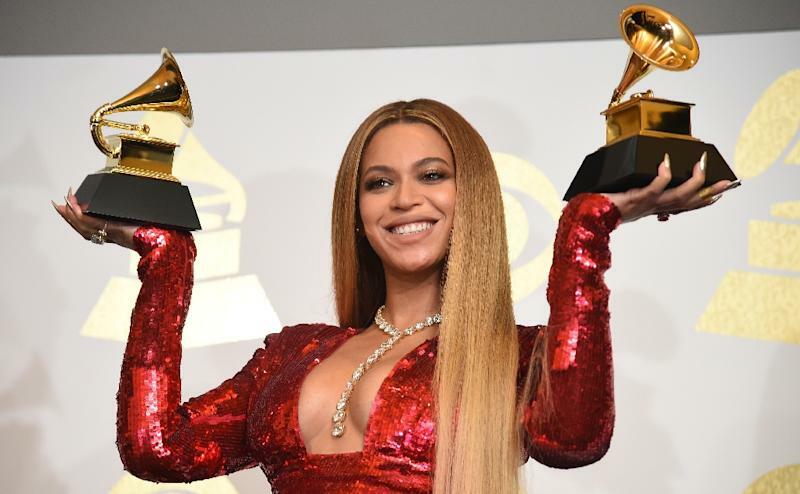 "She really challenges the people in the Recording Academy and the music industry," said Kevin Allred, who has lectured on Beyonce at Rutgers University. Beyonce is "breaking the rules and succeeding, and is also a very powerful black woman who has achieved a level of power that few do." Preview: We're About To Lose Everything We Built from "Square One"